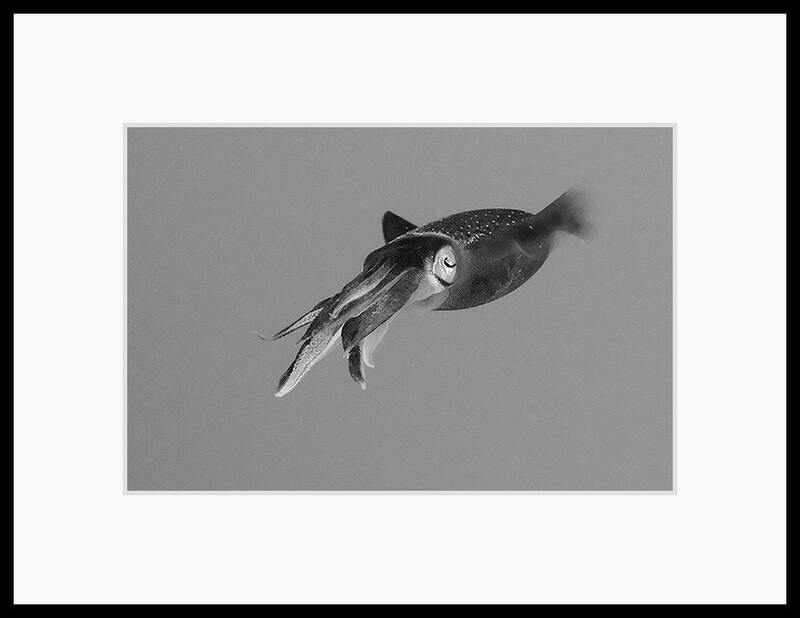 Underwater photography print in black and white of a single inquisitive reef squid I encountered while diving off of the island of Bonaire in the Caribbean. 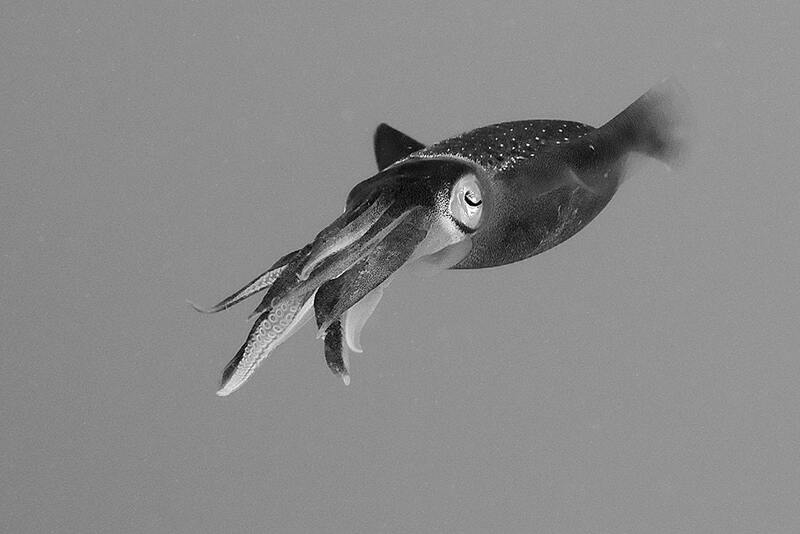 You can sense a squid's intelligence as they watch you. Very pleased, interesting photo. Great service.